"Mangadto mog bukid, te?" Asked the innocent child I met me along the way. I've just covered 6K at that point and was already slowed down with cramped legs, even tempted to call for DNF already. But his question awakened me which brought a new light of hope ahead of me. Mt Megatong, I won't quit on you. 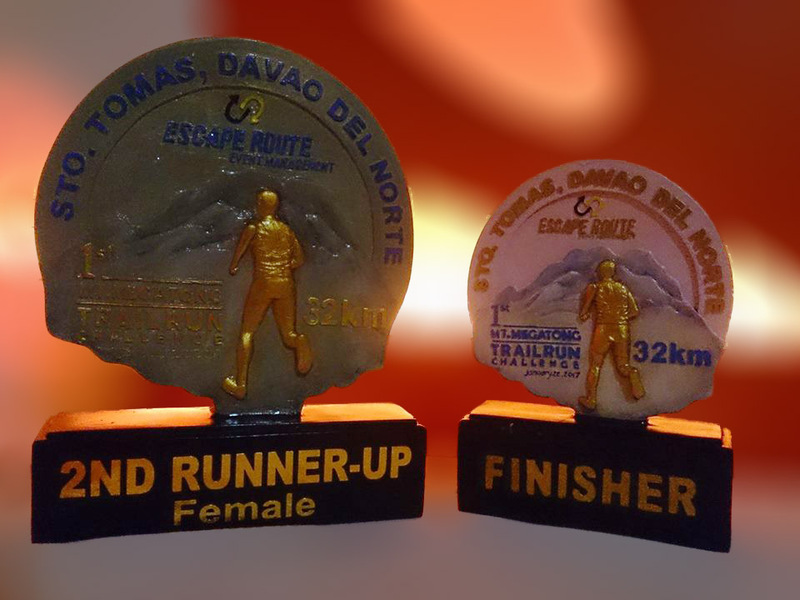 Mt Megatong 32K Trail Run Challenge, which was held in Sto Tomas, Davao del Norte, marks my first longest distance in trail running event since I've joined races in 2014. I haven't originally planned in competing on this but my boyfriend persuaded me to do so. After all, I wouldn't know my potential if I won't give it a shot. On the day of the event, I was still in doubt of myself whether I can make it or not. Nevertheless, I run with the crowd after the gun was fired. Minutes and hours went by smoothly albeit the muddy trail being a technical one, was packed with challenges. It was, in fact, "one false move and you'll rest in peace" kind of trail according to some. That fine moments though turned to what seem like dark hours when suddenly I found myself slumped in the mud and was struggling to stretch my cramped legs. Alone. I wanted to wail my heart out but I know I'm always better than being a cry-baby..
Thankfully, a 12K runner came to my rescue upon realizing my pain. He must've been so thoughtful to stop by even if he was running against time, too. The quest continued after the pain temporarily subsided all the while making sure to incorporate brisk walks when cramp signals to set in. And that was when I met the kid. As I was armed with the newfound determination that he did strike, I was able to advance myself - and those who got ahead of me while I was coping up. Around three kilometers before the peak, I met a guy on his way back to the finish line. "You are the 6th female runner I encountered. Here's what you do, slow down but don't stop. Take advantage of the uphill then walk on downhills to avoid further cram", was his advice. I thanked him and moved on although at that same time, my second problem set in. Heat exhaustion. I've been mindful with the energy and hydration I was consuming to make sure that I'll make it to the end. Energy partitioning and conservation as per Kenn's reminder, thus I should not pass out. With nobody to talk to, the astounding beauty of the landscapes served as a distraction to my burned out body. Imagination was on a roll. I recalled the past climbs I had with my MSU Mountaineering family as I realized how the rolling hills appeared identical to Mt Malinas in Kapatagan, Lanao del Norte. I looked ahead and dreamed of myself breathing the fresh air with content once I reach the peak of Mt Megatong. I stared down the cliff and imagine the cold clinging to my body as I dip in Kipaliko River. These thoughts kept me going. By the time I passed by a marshal, he offered me a chocolate. When I finally reached the peak, another marshal offered me wet wipes. As I was there contemplating, I have finally convinced myself that quitting could never be an option. I've been enduring well so far and going back trails for DNF meant wasted efforts. So I pushed a little bit more towards the 32km turning point. Behold! The fresh bukos awaits me! At 6Km point, we were joined by two policemen. They knew that I was the fourth female to finish the race but somehow it seemed pointless to me if we won't make it before cut off time. We all have two hours and few minutes which made our occasional break shorter than usual but enough to catch for breath. I was too worried about time thus passing along cogon grass, rope lines, banana plantation and another open trail, I knew somehow that we're almost there, I kept holding on...and all that reigned in me was faith. I can make it! I will make it to the end. Always exceed yourself. Doubts, fears, cowardice...it's all in your head. Nothing in this life comes easy at first glance - but if you start baby steps in achieving your goals without giving up, only then will you find out how far can you go. Not only was I able to conquer Mt Megatong, I was also able to conquer and exceed myself. How was the trail po? First time to climb next wik end. Any Tips? Hi there! It was a bit tough and technical during the marathon as we have to pass by different terrains and do rappel as well. However, on an established route up Mt Megatong set for mountaineers, I think it's okay naman. Bring enough hydration though. Johanns Cordita is a trail runner, mountaineer and adventure-seeker based in Mindanao, Philippines. 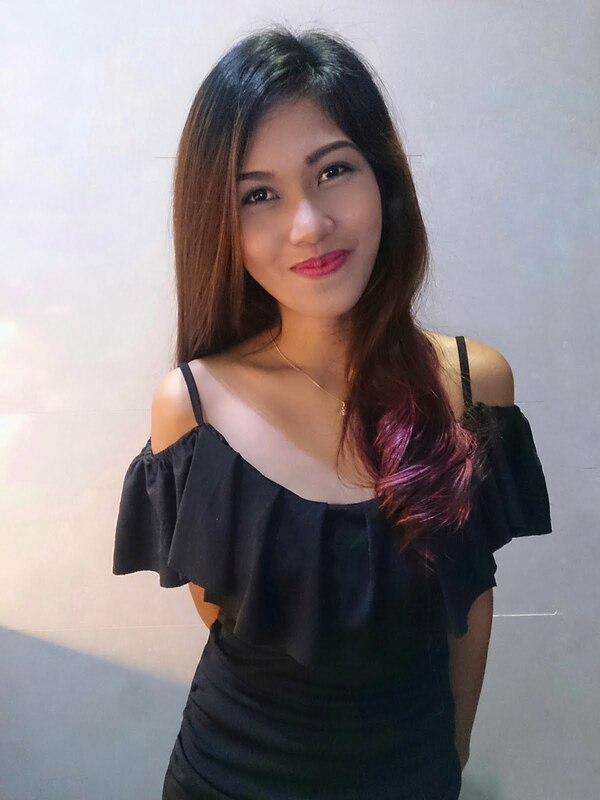 She is a full-time employee on weekdays, freelancer on weekends and a frequent traveler whenever the road calls her to. For sponsorship and collaboration, email me on the provided address above.